WingTjun (Wing Chun) principles are based on human dynamic and ergonomics, all the movements are natural and reflexive. Students will learn defense technique and control their inner power & strength as well as manipulating opponents’ force in combat situation. We offer classes in Slough, Maidenhead, Watford, Hemel Hempstead, London and more locations in your areas. 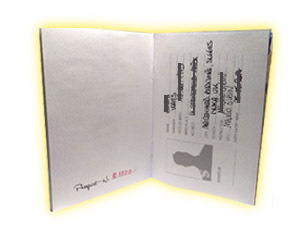 Easily keep track of grades in IWKA oganisation with Grades Journey by using IWKA student passport. 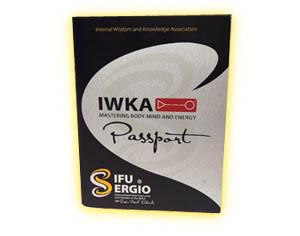 All students, who join IWKA, will receive an ‘IWKA Student Passport’. With this passport, it will guide you through grade 1 to technician, even master level as well as getting official IWKA grade certificates. 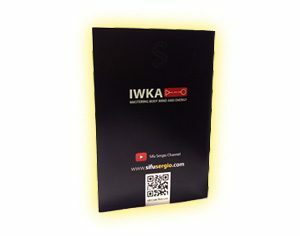 Being an IWKA member, You can access any global IWKA seminars, summer camp and IWKA online shop. Our systematic grades Journey enables IWKA institutions to automate the assignment and input the grade data between Student Information and IWKA organisation. With Grades Journey, each grading section can optionally define syllabuses in our instructor Centre; instructors can post the gradebook in order to provide right grade level to all students. Administrators can configure Grades Journey to control how graders and instructors use Grades Journey. 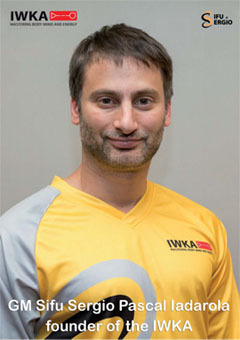 We are well-organising martial art school, we try to make sure all students learning outstanding martial arts techniques from us and we make sure everyone is keep up with IWKA standard. The Concepts curriculum involves Structural Development Forms, Simply Forms, Reflex Development Drills & Tactics. Weapon & Equipment Training. The Wing Tjun Kuen set (Sap Yat Kuen) is the core set of Siu Lam Wing Tjun, a basic practice form consisting of 11 sections, which are applied in Chi Sao. In fact it could also be termed more of a “theory” than a “form” – a set of methods for optimizing the free use of the body to win over a strong attacker introducing the 18 Kiu Sao of Siu Lam Wing Tjun. According to the Lo family, Saam Pai Fat is the advanced Siu Lam Wing Tjun set of Sun Gam (Dai Fa Min Gam) of the Red Boat Opera. Like its matching set, Wing Tjun Kuen, Saam Pai Fat consists of eleven sections. Its focus is to expand the ability of the Wing Tjun practitioner to cover all of space and time through the concept of bowing to Heaven, Earth, and Human. Jong Kuen (also known as Siong Kung Jong Kuen because in the final Siu Lam Wing Tjun teachings it melds internal and external power), combines fast, agile steps in all directions with whole body movement. The set includes all concepts and principles from the long pole, wooden dummy, etc. In appearance, this last, traditional Siu Lam Wing Tjun set looks similar to a combination of Taijiquan, Xingyiquan, and Baguazhang. The Muk Yan Jong contains several sets from different Wing Tjun families: In them are contained the fighting methods of the Muk Yan Hong, the Wooden Dummy Hall of the Southern Shaolin Temple. The Wooden Dummy is not used just to strengthen forearms or shins, but one should train with the sensitivity found in Chi Sao. The pole is the heart of Siu Lam Wing Tjun. With it comes the feeling and understanding of the 6½ principles and concepts used in all types of fighting. The set teaches spring footwork, and continues on to challenge practitioners to make use of their whole bodies. The wooden dummy for the long range was, in times past, the secret of Siu Lam Wing Tjun, the fourth and final dummy from the Muk Yan Hong (Wooden Dummy Hall) of the Southern Shaolin Temple. It teaches to close the gap over and over again. Chum Kiu is the second form in WingTjun, it means seeking the bridge. 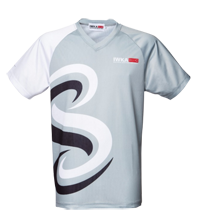 It consists techniques and movements designed to bridge the gap to your opponent. Chum Kiu form teaches footworks, advanced stances and kick techniques. It is a more dynamic form than Siu Lim Tau. Biu Ji is the third form of WingTjun. It means the Thrusting fingers. It referred as an emergency form which Biu Ji moves can help to get things back into a safe situation by recover and remain in control of the centre line when things go wrong in a fight. The moves in Biu Ji are quite deadly and powerful that can cause serious damage to the opponent. Mook Yan Jong, the Wooden Dummy. Made from a wooden trunk with three wooden arms and a single leg. Students can refines the techniques on wooden dummy by imagining it’s the opponent and practice drilling angles, positions and footwork, it also helps to develope the hardness of forearms and fists. 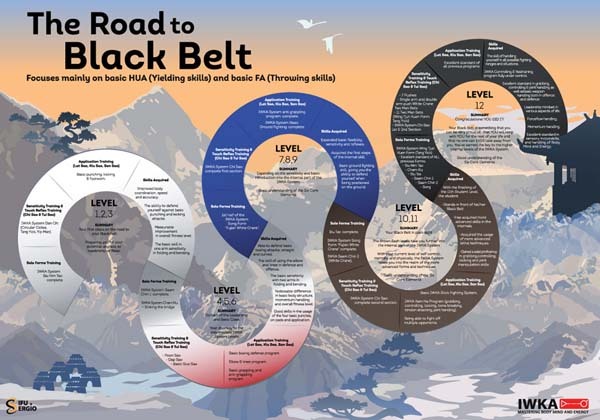 The route leads to the black belt via 12 levels. This route is roughly divided into 5 colours. Below you will find the distribution in color and level. 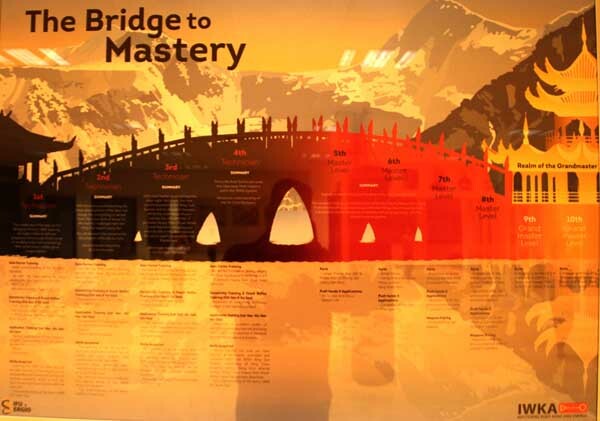 After gaining the black belt in Kung Fu you can enter a bridge to mastery. The bridge starts with four levels ‘Technician’. After these 4 steps the domain of the ‘Sifu’ (the teacher) starts. This step also consists of four levels. Levels 9 and 10 are reserved for the Grand Masters. At this moment there is a level 10 grandmaster in IWKA Kung Fu and that is Grand Master Sifu Sergio, the founder and CEO of IWKA WingTjun Kung Fu. 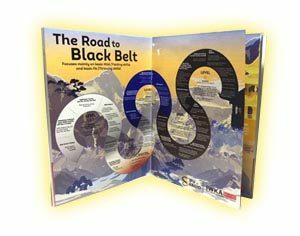 − Your first steps on the road to your black belt. 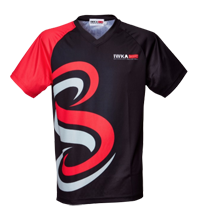 − Improve body coordination, speed and accuracy. 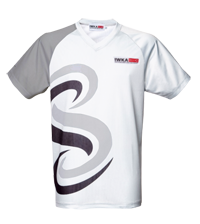 − The ability to defend yourself against basic punching and kicking attacks. − Measurable improvement in overall fitness level. − The basic skill in one arm sensitivity in folding and bending. − Domain of leadership and Basic Class. 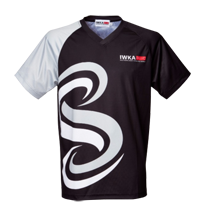 − Your doorway to the intermediate IWKA System Level. − Able to defend basic boxing attacks, straight and curved. − The skill of using the elbow and knee in defence and offence. − The basic sensitivity with two arms in folding and bending. − Noticable difference in basic body scurture and momentum handling and overall fitness level. 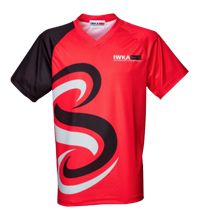 − Expanding on the sensitivity and basic introduction into the internal part of the IWKA System. − Basic understanding of the six Core Elements. − Expanding basic flexibility, sensitivity and reflexes. − Acquired the first steps of the internal skill. − Basic ground fighting skill, giving you the ability to defend yourself when being position on the ground. − Your black belt in plain sight. 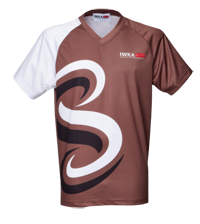 − The brown Sash Level take you further into the internal part of the IWKA System. 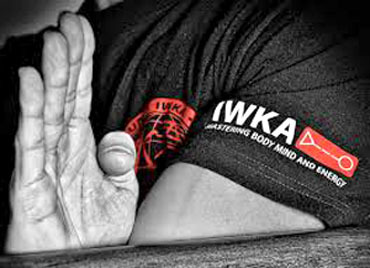 − With your current level of self control mentally and physically, the IWKA system takes you into the realm of the more advanced forms and and techniques. − With the finishing of the 11th student level the student. − Stands in front of his/her black belt. − Has acquired more advanced skills in the internals. − Has acquired the usage of more advanced lethal techniques. − Gained a solid proficency in grappling controlling, locking, and joint manipulation techniques. − Congratulations ! YOU DID IT ! − Your black belt is something you van be very proud of, that you will keep with you for the rest of your life and that no-one can ever take away from you. 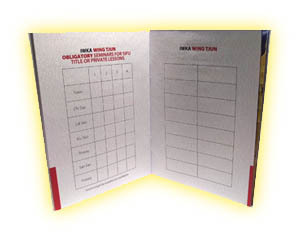 You earned the key to the higher internal levels of the IWKA System. − Good understanding of the Six Core Elements. − With the finishing of the 12th student level the student. − The skill of handling yourself in all possible fighting ranges and situations. − IWKA controlling and restaining fully under control. − Excellent standard in grappling controlling & joint handling as well as basic weapon both in offence as defence. − Momentum handling− Excellent standard in sensory motor skills and handling of Body, Mind and Energy. − Level 2: With this level you will be learning the most advanced form of the Tang Yick Lineage: the Seung Kong, or double force. The exact form of the Yeung Tim who had the challenged fight with Wing Chun Legend Leung Jan. You will also learn the complete Chi Sao program of the Biu Tze form. 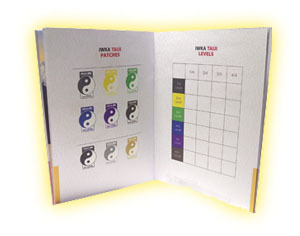 − Level 3: With your master level coming into plain sight, this stage, the final technical points of the Wing Tjun System and its ancestor lineages, will be the main focus of your training. You will learn the 37 postures Huang Chen Shyan White Crane/Taiji Form, Bringing your internal skills to the destined level for you to qualify yourself for the master test. 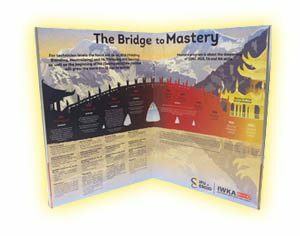 − Level 4: This is the final Technician Level, one step away from Mastery within he IWKA System. You will learn an advanced understanding of the Six Core Elements. − Superb understanding and handling of the Six Core Elements. − The complete legacy and transmission of Eternal Spring Weng Chun(Tang Yick) and Beautiful Spring Lineage of the Yik Kam Wing Chun should be fully transmitted and understood completely before progressing into the Master Level Programs. Q: Where can I train WingTjun martial Arts? A: We have WingTjun martial art schools in Hemel Hempstead (Mondays), Bracknell (Mondays), Slough (Tuesdays), Watford (Wednesdays), Windsor (Thursdays). Contact us on 0780 983 9527 to enrol for 2 weeks free training. Ages 4 years for children and 13+ for adults. Q: Do you offer any free training for me to try out your martial art? A: Yes we currently offer 2 weeks free training. Contact us on 0780 983 9527 to start your journey. Q: Do you have a grading syllabus, so I can see my progression whilst learning your system? A: We have a 12 student grading syllabus. 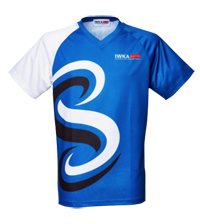 Which will take you through kicking punching, Knees, elbows, multiple attacks, defence against bat and knives, ground fighting also lots more. Then Technician (blackbelt) levels 1-4 which is the higher level of training. Then Master grades 5 and above. A: Wear sports clothing, trainers and bring a bottle of water. Q: Do you have any seminar or courses during the year? A: We have WingTjun Masters who visit the UK about 4 times a year to teach weekend seminars. Once a year we have our international seminar in Italy, which is a 3 day event. All students are welcome to attend. Q: Are you part of a martial art Organisation? A: We are part of the WingTjun IWKA (internal Wisdom and Knowledge Association) and are one of the largest martial arts Organisation in the world with schools in over 21 countries.